"Having had a very bad experience from a previous decorator I was very happy to find Louis Booth at www.louisbooth.co.uk. 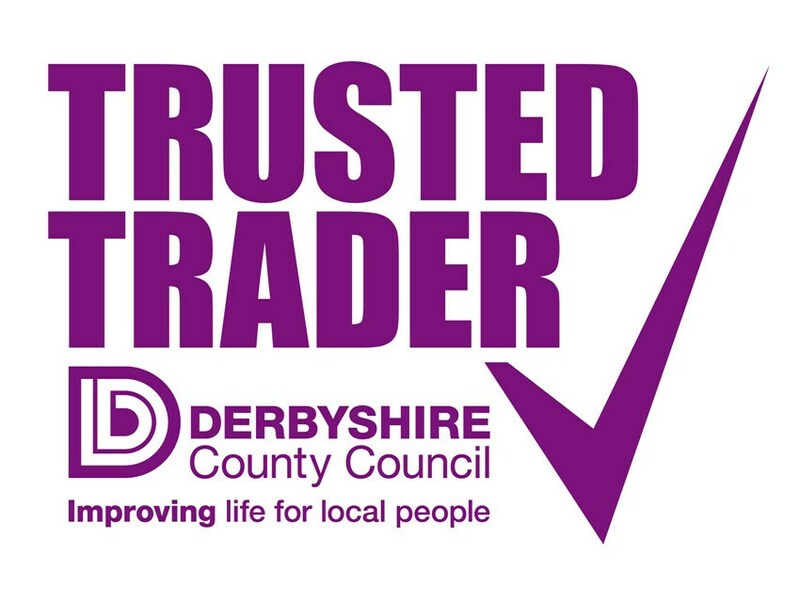 using trusted trader via Derbyshire County Council. The standard of workmanship and customer service from Louis Booth was first class at a great price, left no mess and was a pleasure to deal with. Highly recommend this trader. 5 star service." "Had all outside painted and my stairs. Louis did more than what was originally agreed such as cleaning the gutters and painting an extra fence. Pleasant man. Reliable and charges a fair price. Would recommend." "Extremely professional job which looks v. good. V.Obliging & helpful & nothing was too much trouble. Would highly recommend Louis Booth & his sons." "He was very punctual, reliable, clean & very professional during his time with us." "They are just as the name says, very impressed. Completely changed my ideas on colours and totally amazed by the results. Highly recommend." "The quality of the work and of the service provided was outstanding. The house was fully decorated throughout to a very high standard, including minor plasterwork repairs. The house is for sale but still has a great deal of our belongings there as we have relocated and are currently renting a part-furnished property. This meant the decorators needed to work around a lot of furniture and other property including a large number of books. They managed this extremely efficiently and without any complaints. I would recommend this company to anyone needing fairly priced high quality decoration." "We agreed that Mr Booth would completely re-decorate my flat whilst I was away as this was the most convenient arrangement. I know him to be totally trustworthy and my flat was looking lovely when I returned". "First rate. Prompt each day and cleaned up each day after work. Very approachable on issues or questions about the work being done - would use again." "I would recommend Louis to anyone looking for a decorator. He is highly professional, pleasant and friendly , charges a fair and honest price and is a pleasure to have around. He clears up at the end of each day, leaving everything tidy and did a fantastic job redecorating the exterior of our house." "Louis Booth - Professional Decorators did an amazing job. Came every day 4 days on time, friendly, polite, courteous and professional. Kept everywhere tidy and clean, cleaned up, all dust and even windows which is so unusual nowadays. The work he did was amazing even down to his advice and colour schemes before. Friends have commented what an excellent job he did and would recommend him to everyone." "Louis Booth & his son redecorated our lounge/living room to the colours we chose, they were very professional, polite, friendly and did a very professional job. I would most certainly have them do another decorating job for us."